Angelina Jolie one of the finest actresses of Hollywood is a fully focused person. Her devotion to work is well known as she completely gets into the skin of the character she’s playing. Almost a decade back she tried Martha Detox Diet for 21 days in order to lose 21 lbs, only to fit into the role she was about to play for an upcoming movie. Wow that sounds amazing!!!!! What is Martha Vineyard Detox Diet? A completely strict liquid diet you are supposed to follow to cleanse your system. You need to have liquids every 2 hours. Solid food is a complete no-no. 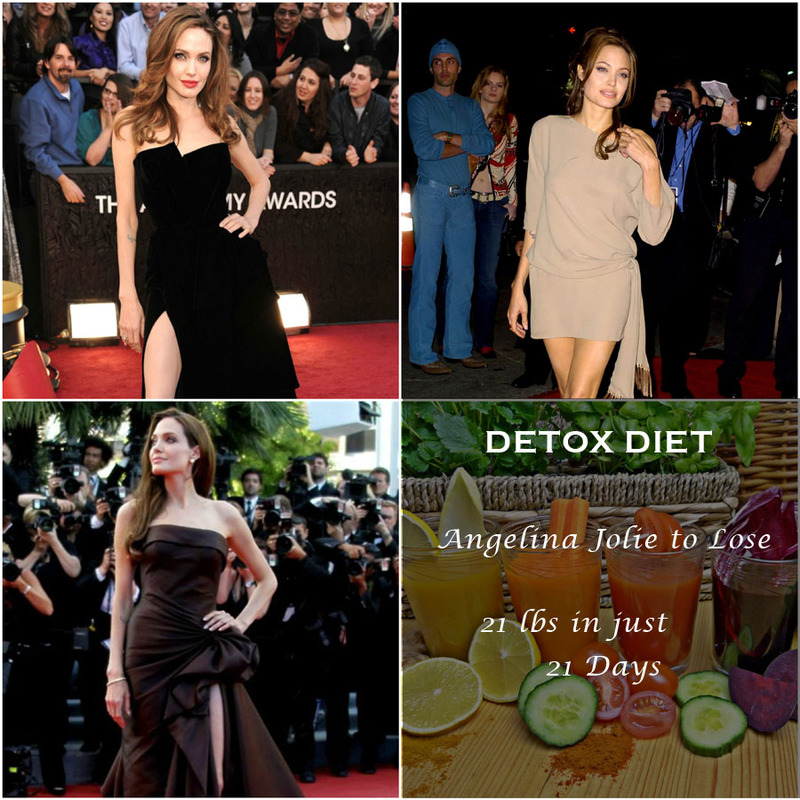 It is difficult to follow a detox diet for more than 10 days but Angelina followed it for good 21 days, shows her devotion. As we mentioned it is tough to follow Martha Vineyard Detox diet for more than 10 days, so was the case with Jolie as she started suffering from fatigue after a certain time. As a result she started having small meals in between. A low calorie detox diet does not provide required energy though it is good to flush out impurities and fat. However, following a strict detoxifying diet is a sure shot way to get fatigue. In this journey, by starving your body, you are on your way to lose much required energy. A fact nobody can escape. Angelina Jolie’s experiment with Martha Vineyard Detox Diet clearly explains that following such detox diet for more than 10 days is a bad idea. However, such diet should be taken as a jumpstart to a weight loss process and should not be followed for more than a week. Losing 21 lbs in 21 days is not at all recommended. The only way to shed those extra kilos is by following sensible diet and exercise. With a controlled weight through a sensible diet plan, you are ready to follow latest fashion trends, but starving yourself is not a great idea.